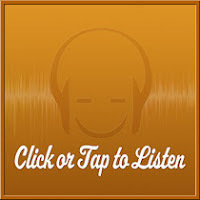 Thank you for your interest in getting your music played on Aural Awakenings! We currently accept submissions from recording artists, record labels and music promoters. Please familiarize yourself with our station’s format and the general atmosphere of our broadcast before submitting your work. We play a unique selection of non-mainstream music that mostly falls into the new age, neoclassical and contemporary instrumental genres, including varying styles of Celtic, acoustic and piano, as well as some cinematic and gentle vocal/world music. Our playlists are human curated and each track is carefully selected, as opposed to being generated by an impersonal algorithm. Once your music has been previewed to determine if it’s a good fit for the program, selected tracks may be added to our 24/7 web station and/or featured at some point on a Mixcloud show. You may submit single tracks, extended plays or full-length albums. When submitting a full-length album, we may choose to select up to but not more than one-third of the total number of tracks on the album to include in rotation on our non-interactive 24/7 web station. Not more than one track from an album will be included per individual one-hour Mixcloud show, although other tracks from the album may be featured separately on other Aural Awakenings Mixcloud shows. Whenever your track plays on the 24/7 web station, the album artwork, artist name and track title will appear on our website player, as well as feature a “buy this album” link that directs listeners to the album’s (or single’s) online retail shop page, such as Amazon, Bandcamp, iTunes or CD Baby. Please do not send us streaming-only files and links since we need the actual files in order to play your music. We accept digital files in MP3 format at 320 kbps. Please use a file transfer service when submitting your music. We recommend Dropbox.com, WeTransfer.com, Hightail.com or Box.com for this process. You are also more than welcome to provide us with a redemption code to Bandcamp or CD Baby so that we may download the files from there. Please do not send us files in AIFF or WMA format. When submitting your files, please make sure all your tracks are properly tagged with the artist and song titles entered in the correct places to help expedite the inclusion process. Also, please provide the album artwork along with shop links, any liner notes or additional press information that may be helpful. We also welcome physical media via snail mail. If you would like to send us your CD, please inquire via email for the physical mailing address and provide a brief description of what you’re submitting! Once you have submitted your music, please wait at least two weeks before following up with us to find out if it has been programmed or potentially will be. Due to the sheer volume of messages we receive, we may not be able to reply to every inquiry right away. As a result, inquiries regarding music which has been submitted that does not fit our playlist format, or is improperly submitted, may not elicit a response. For all music submissions and other inquiries please send an email to AuralAwakeningsMusic@gmail.com. Now and for always – airplay is totally free! Candice Michelle is host, programmer and music reviewer of both Aural Awakenings and Journeyscapes Radio. Aural Awakenings plays a refreshing blend of celtic, neoclassical, world fusion and contemporary instrumental music from many independent and non-mainstream artists. The uniquely eclectic playlist provides a perfect soundtrack for work, writing and recreation. We currently operate a 24/7 streaming station which can be heard by clicking the player in the righthand column, as well as host one-hour seasonal, special and holiday shows on Mixcloud, which can be accessed directly on our website. 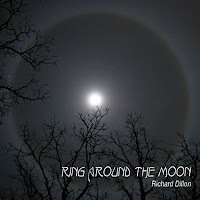 Richard Dillon is a Seattle-based pianist and composer who began writing solo piano music about four years ago. Citing fellow pianist-composers David Nevue, Joe Bongiorno and Neil Patton as some of his greatest musical career influences, Dillon’s own style ranges from neo-impressionist to Celtic. 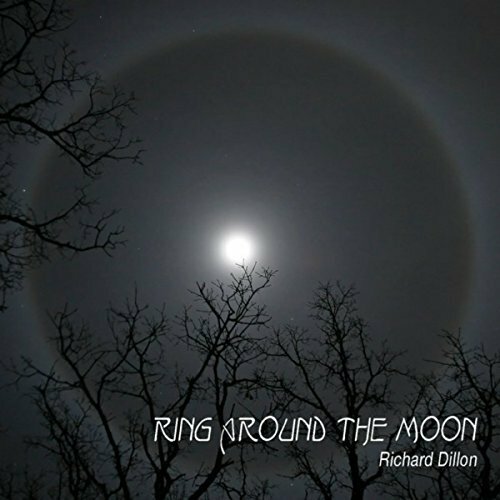 Originally released in 2014, Ring Around the Moon is comprised of 13 original solo piano compositions inspired by the winter season. Michele McLaughlin is a self-taught pianist and composer who relays musical storytelling via her instrument. One listen to any of her albums and it becomes evident right away that she was simply born to play and compose on the piano. 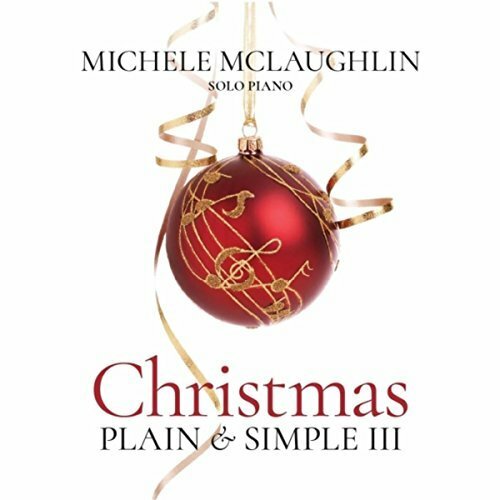 The third installment of her Christmas trilogy, entitled Christmas: Plain & Simple III, is comprised of 12 compositions that includes one original piece. Literally absent of any fancy bells or whistles, Michele artfully distills the essence of these wonderful Christmas classics. The album opens on a cheerful note with a rendition of the popular English carol, “We Wish You a Merry Christmas”. Adding her signature touch, Michele employs a rippling effect on the piano between takes on the main melody. Following next is one of my favorite carols entitled “Good King of Wenceslas”. A song written about a Bohemian king who embarks on a journey amid the harsh winter weather to give alms to a poor peasant, Michele’s unique take on this classic seemingly transfers the feeling of a long-distance traveler braving the cold. Here she opens the piece with drifting solo notes in the higher register, before introducing a galloping motion on the keys with her left hand and then applying a tapping effect on the main melody with her right hand. Imparting a resonating sound, these particularly intriguing aspects lend the piece a great deal of added dimension and color. 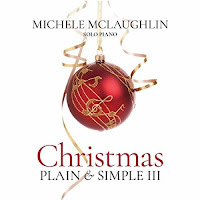 Michele also recreates “What Child is This?” (a carol adapted to the melody of the traditional English folk song, “Greensleeves”) on her piano, while lending her own improvisation with an added touch of opulence from about the middle of the piece onwards. Also notable is Michele’s gentler, more introspective take on the typically cheery and upbeat “Jingle Bells”, in which she begins the piece with her own melodic introduction before transitioning into the main familiar chorus. 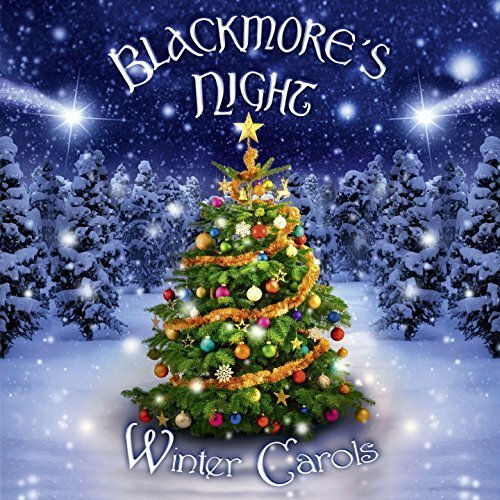 One of the livelier moments on the album includes the song “Christmas Canon”, of which Trans-Siberian Orchestra originally set to the melody of Johann Pachelbel’s "Canon in D Major". Applying a more dynamic assertion on the piano, Michele similarly captures the nostalgic feel conveyed by the original tune. Perfectly closing out the album on a personally comforting, calming note is “Peace”, of which Michele composed. 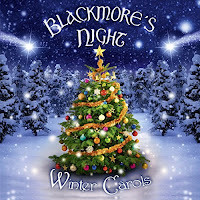 Winter Carols is a double-album of Christmas and holiday songs by the band Blackmore’s Night, comprised of Ritchie Blackmore (of Deep Purple and Rainbow) and his wife Candice Night. Performing a style of music that is often described as renaissance folk-rock, their signature sound naturally provides the perfect musical context for these timeless compositions. The first disc includes fifteen studio recordings while the second disc features live versions of five pieces from disc one. Disc two also includes four additional variations of “Christmas Eve”, with the original version likewise appearing on disc one. Performed and sung in the spirit of hundreds of years ago when peasants and royalty alike shared in the joy of the holidays, the pieces on Winter Carols often paint transportive mental images of old European houses and castles among a magical winter scenery complete with people enjoying food, festivities, music and dance. Sounding off the album with a cheerful rendition of “Deck the Halls”, a flute initially plays the main melody, which is then followed by Candice on vocals accompanied by a full arrangement. Next is the longtime familiar, “God Rest Ye Merry Gentleman”, which has always been one of my favorite traditional Christmas carols. Beginning at a slower pace, acoustic guitar and processional drums lead the way as Candice sings the main melody. Gradually picking up the pace, a lovely instrumental bridge enters that sounds traditionally Arabian, accompanied by an exotically transportive mid-eastern oboe sound. One of the liveliest segments on the album is the pairing of “Hark! The Herald Angels Sing / O Come All Ye Faithful”, which bridges two classic carols. Seemingly conveying a parade of lights, dancing and celebration, the rather pop-rockish tune also features an impressive riff of soulful electric guitar. Another notable highlight is the beautiful instrumental, “Winter (Basse Dance)”, which effectively conjures images of a cozy, crackling fireplace with its relaxing arrangement of classical guitar and orchestral strings. The band also performs a song for Hanukkah called “Ma-O-Tzur”, which is a Jewish liturgical poem. Showcasing a lovely guitar and string arrangement, Candice sings the melody first in Hebrew and then in English in a lightly soaring manner. One of my favorite Advent and Christmas hymns is “O Come, O Come Emmanuel”, which the band has simply rendered as “Emmanuel”. Here Candice sings its supernal lyrics amidst acoustic guitar and strings, until the arrangement eventually welcomes a whimsical flute melody towards the middle. And lastly, I was most happy to see the band’s original composition, “Christmas Eve”, included on this album, as it brings back wonderful memories of the first time I heard it during a Christmas holiday spent in Austria a couple of years ago. Perfectly capturing the inexplicably magical air of Christmas Eve with its celebratory arrangement of singing, sleigh bells, guitar and percussion, hearing this festive albeit nostalgic piece still reminds me of riding in a car one night as it snowed. The second disc also includes four edits/versions of this song, which differ notably from the original in that they’ve been remixed with an added dance/techno beat, however I greatly prefer this version. For more information please visit the band's website. This album is can also be purchased at Amazon, iTunes and Google Play. 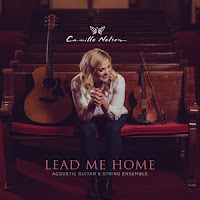 Camille Nelson is a highly-accomplished guitarist and violinist whose second studio album, Lead Me Home, was released on Stone Angel Music. Born and raised in Salt Lake City, Utah, Camille also lived in Nashville, Tennessee for a couple of years, has visited more than 70 countries, and speaks English, German and Italian. 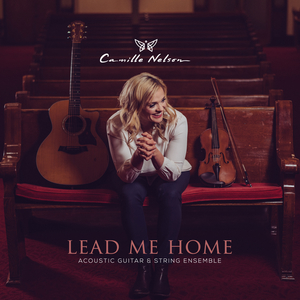 Comprised of 12 compositions that feature renditions of traditional hymns and pieces composed by the artist, Lead Me Home is a glowingly captivating acoustic guitar and string ensemble album, which could be further described as a unique blend of classical, inspirational, acoustic-folk and contemporary instrumental styles with notable overtones of Celtic and Americana. Shane Mickelsen is the album’s conductor and string arranger, while an outstanding lineup of contributing musicians variably lend violins, viola, cello, fiddle, mandolin, dobro and pedal steel guitar. My favorite piece on the album is a rendition of a traditional Irish hymn entitled “Be Thou My Vision”. Featuring the exquisite Celtic vocals of Alex Sharpe singing in Gaelic, this gorgeous arrangement also showcases emotive violin and velvety guitar with softer brushes of violin deftly mimicking bagpipes within the enveloping string ensemble. Songs like “Israel, Israel, God is Calling” convey a folksier feel with rhythmically acoustic and pedal steel guitar accompanying the violin. Another favorite is “Come, Come, Ye Saints”, which features Camille’s brother, Steven Sharpe, of The Piano Guys on cello. I especially like the woodsy percussive effect throughout, which seemingly guides the listener on a night journey across the Great Plains. “Come Thou Fount of Every Blessing” is another highlight possessing a notably Celtic bent, which showcases Ryan Shupe on both fiddle and mandolin. “Count Your Many Blessings” perfectly concludes the album with a current stream of softly resonating piano that’s accentuated by acoustic guitar and violin. Introducing the album is “When You Were Little”, which opens with a gentle simplicity. Soon transitioning into more melodically complex passages, the piece ultimately concludes with the gentle theme established at the beginning. 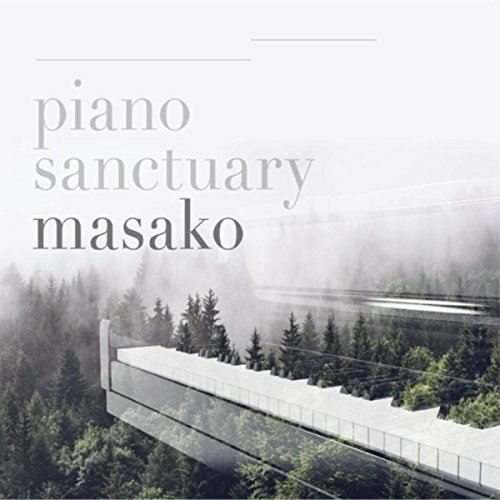 Sitting among Masako’s most beloved compositions is “A Tale of Lonely Otter”, which originally appeared on her debut self-titled album, and likewise appears here as a solo piano rendition. One of my favorites on the album, this delicately heartfelt and somewhat wistful composition opens with a pacing that brings-to-mind Erik Satie’s famous classic, “Three Gymnopedies”. Other highlights include “The Land We Called Hope”, which features staccato notes in the upper range of the piano that beautifully beckon the listener’s attention, as well as “Frozen Quarry”, which is the second composition herein to have a Satie feel with its shifting tonal colors. Returning to familiar ground is the closing piece, “Tender Stories”, with its cascading notes in the bass register and twinkling notes in the upper register. Further showcasing a middle section that pleasingly reminds me of David Lanz’ fine “Song for Monet”, Masako’s touch on this piece is indeed quite tender. 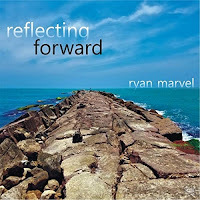 The opening title piece, “Reflecting Forward”, begins with a quiet, solitary note that builds in intensity, resolving in a chord. Repeating again and then fading to silence, it is followed by gentle piano chords that bring-to-mind some of the quieter compositions of George Winston. One especially intriguing piece is “Conflict”, which opens with what sounds like muted piano before moving into higher register chords and notes. The muted piano effect returns once again, as the arrangement builds into a song that effectively reminds me of music from Liz Story’s “Escape of the Circus Ponies”. 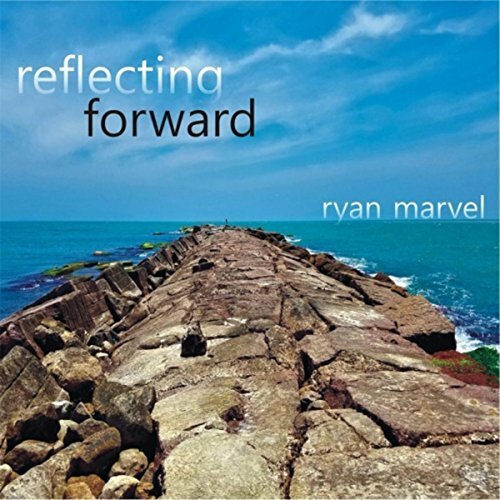 Seemingly moving between minor key ruminations and major key celebrations on this album, Ryan displays excellent command of dynamics and compositional arranging. He patiently allows each chord to ring out on the piano and isn’t ever in a hurry, nor does he rush the compositions – and no single note on his piano is played before its turn. The beautiful closing piece is ironically titled “Beginnings”, which subtly shifts between emotional moods and atmospheric tones. Beginning in a pensive fashion, Ryan moves on to a more assured approach to the music, before concluding in a series of gently-played upper register notes. 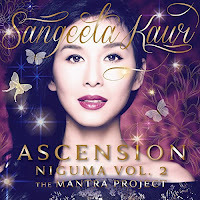 Sangeeta Kaur is a Vietnamese-American trained opera singer, mantra singer and music producer. On her third album entitled, Ascension, Niguma, Vol. 2: The Mantra Project, she is joined by acclaimed producer Nicolas Neidhardt, The Hungarian Studio Orchestra of Budapest and several guest musicians – thereby collectively bringing a listening experience described as a “fusion of sacred cinematic mantra music, yoga, dance and storytelling”. Comprised of ten compositions spanning 43 minutes, the album variably interweaves classical, opera, mantra, world and adult contemporary music, and features instruments such as harmonium, keyboards, bass, percussion, electric and acoustic guitar. In addition to the album’s main highlight of Sangeeta’s soprano vocals, are the ceremonious sounds of cinematic orchestra and symphonic drumming that are prevalent throughout, which effectively convey the notion of experiencing a live stage performance. The album opens with “All Space and Time (intro)”, which serves as a brief atmospheric introduction featuring some indiscernible, soft-spoken word. Leading right into “Niguma, I Bow to You”, this piece is characterized by its gentle orchestral arrangement, as Sangeeta delivers a lyrical melody in English and wordless soprano vocals on the chorus with a bit of “OM Shanti” intonations towards the end. I’ve always been especially fond of the Armenian Daduk which also intermittently accompanies the main melody throughout. “Dream Tunnel” follows next and is probably my favorite piece herein, as wordless ethereal vocals glide across cinematic drums, crystalline textures and sweeping orchestration. “This Beautiful World” ensues with some added acoustic guitar and a brief vocal appearance by West African singer Kasse Mady Diabate, as Sangeeta delivers the main melody in a reminiscently praise/worship style. Sangeeta also showcases her impressive operatic range with a rendition of the famous Italian-language soprano aria, “Lascia Ch’io Pianga”, which is accompanied by the aural grandeur of a full symphony orchestra. “Samsara’s Tango” eventually proceeds with some more operatic vocals, dramatic violins and thundering percussion. Easily one of the album’s most defining moments, it artfully combines opera, tango and classical-rock music. Finally, we conclude with “Ardas Bhaee”, a piece that features layered vocal harmonies amid bell-tones and symphony, with Sangeeta offering up some philosophical spoken word towards the end. For more information please visit the artist's website. This album can also be purchased at Amazon and iTunes. Urban Metta, Vol. 2 is the anticipated second installment in the Urban Metta series by electronic music composer, Phil Strickland, who records under the project name of Anaamaly. Comprised of eleven compositions spanning nearly 70 minutes, this album, like its predecessor, was conceived with the intent of inducing blissful states of relaxation, and is likewise well-suited for massage, mediation and yoga practices. Stylistically part ambient and part “new age”, each composition is titled after a positive affirmation that all begin with “I”. Although on its surface this notion may strike some listeners as being a bit too typically “woo-woo”, Phil’s extensive background in the chill-out, downtempo and instrumental hip-hop genres effectively help to keep these compositions firmly anchored in compositional depth and delightfully free of excessive syrup. Filled with churning textures, humming chords and organic/environmental samples throughout, the compositions mostly adhere to similar sound patterns, with each possessing individual nuanced attributes. “I Am Ready to Forgive” introduces the album with billowing tones, swishing chimes and ethereal synthesizer washes – immediately signaling an immersive experience that defines the rest of the compositions. Following next is “I Am Inspired by Possibility” – one of my favorite pieces on the album. Here an oscillating and slowly-shifting drone underscores a beautifully drifting aquatic synth melody. The ensuing “I Am a Co-Creator” is also a notable highlight; weaving softly melodic bell-tones and the sound of running water into a mesmerizing soundscape, it feels like a rejuvenating bath or spa experience. Another noteworthy composition is “I Give My Truth” with its heavy fog of synthesizers that seemingly convey a transparent veil of luminously streaming colors. “I Affirm All That is Good” is easily the album’s most mysterious and spacey passage, as well as perhaps my personal favorite of the lot. Comprised of synthesized vocal textures that shift along a hypnotic chord sequence, the piece effectively elicits images of a vast cosmic expanse. “I Have All That I Need (Album Version)” perfectly wraps things up in a blanketing gossamer haze, from which a more overtly shiny keyboard melody beautifully emerges. For more information please visit the artist's website. This album can also be purchased at Amazon, Bandcamp, iTunes and CD Baby. 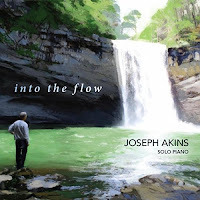 Not long ago I had the pleasure of seeing pianist-composer Joseph Akins in concert with fellow pianist-composer Michele Mclaughlin on their joint tour, where each performed a set and shared delightful and personal stories. Raised in a musical family in Chickamauga, GA, Joseph has been playing the piano since he was a child, having explored a variety of musical styles along the way. In addition to his career as an accomplished recording artist, Joseph is also a college professor and teaches music instruction. Having personally found him down-to-earth and expressing a great sense of humor, I can only imagine how beloved he is by his students! 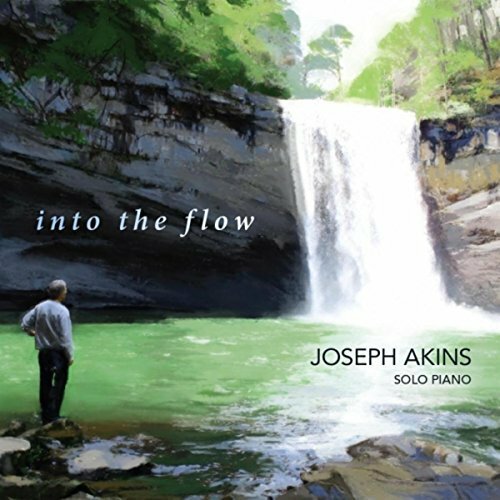 Comprised of twelve original solo piano compositions spanning roughly 50 minutes in length, Joseph’s latest album, Into the Flow, is a delightful collection of reflective, melodic comfort. Some of the album’s highlights include the opening title piece, “Into the Flow”, which pleasantly reminds me a bit of early works by David Lanz. Evocative of sailing along a peaceful river, the composition gently rolls along in a forward motion with smoothly rounded edges. I’m also especially fond of the aptly waltzing, “The Waterfall Waltz”, which features chords that bear some reminiscence to the music of jazz pianist Vince Guaraldi – a comparison likewise noted on the similarly jazz-tinged “On Saint Simons”. As it often goes, songs inspired by the winter season tend to be among my favorite on a given album (particularly when it comes to piano recordings), as such is the case with the especially lovely piece, “Winter is Here”. A more classical-infused composition, it continuously cascades in a gently fluctuating and winding manner throughout while seemingly recalling that of embarking on a lone journey across a snowy landscape. Nevertheless, the final piece may be the one that lingers on in my mind the longest. Conveying a sense of cosmic wonder with the title, “Cosmic Microwaves”, this beautifully mysterious and reflective passage makes use of heavy reverb and digital delay on the piano – effectively bringing this wonderful listening experience to a memorably perfect close. Unleashed Dreams is a recording duo comprised of Lindsey Gaye Walker and Sean Michael Paddison. 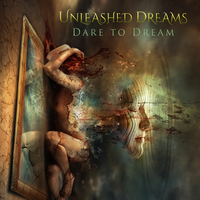 On their debut album, Dare to Dream, the duo artfully weave new age, neo-classical and adult contemporary musical styles with lyrical messages of hope, encouragement and inspiration among 12 compositions spanning 52 minutes. Not surprisingly, Lindsey is a transformational life coach in addition to singer-songwriter who provides lead and background vocals on the album, while Sean is a composer, producer and instrumentalist who lends ad-lib and background vocals throughout. A handful of guest artists are featured on varying compositions, of whom provide additional ad-lib and background vocals, as well as instruments such as violin, viola and guitar. “Deep” opens the album somewhat reverently with harp strings and heavenly vocalizations. Additional classical elements soon enter the piece, as Lindsey sings a lullaby-like tune that’s perfectly suited to her gentle, ethereal voice. Picking up the pace with the next piece is the brightly optimistic, “Dare to Dream Again”, which adheres to a more adult contemporary musical formula. Here, the duo sings a harmoniously soulful melody of affirmatively positive lyrics, which contain such phrases as “believe and let go” and “leave your troubles behind”. 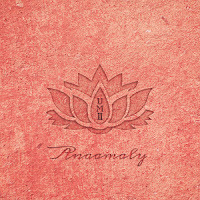 The ensuing “Resonance” follows in a similar vein with added tabla drums and a subtle safari/tropical feel throughout. This spirit-soaring composition would be well-suited to a live performance, as some of Yanni’s more dynamically-driven music comes to mind with its flowing piano and chorus of “oohs” and ahhas”. Additionally, guest musician Ian Crighton lends electric guitar to the piece, as the duo sing affirming and motivational lyrics inspired by the Law of Attraction philosophy. The enchantingly calmer “Now I Lay Me Down to Sleep” ensues with strings, chimes and vocals in a style that reminds me of the popular new age musical duo Secret Garden. Further into the piece, a waltzing harpsichord a la Enya likewise accompanies the arrangement, as Lindsey seemingly sings a fairytale from a magical storybook. My favorite piece on the album is “Trust (and let go)”, on which Lindsey alternates a spoken word melody with a lusciously catchy chorus over classical instrumentation, layered ethereal vocals and a moderately-paced pop rhythm. “A Journey Within (Instrumental)” is another personal favorite, which opens with softly solemn and reverent choir vocalizations that remind me a bit of the introduction to Loreena McKennit’s “Dante’s Prayer”, before beautifully unfolding into a lulling piece of classical strings and trinket bells. For more information please visit the artist's website. This album can also be purchased at CD Baby. Spring Begins is the follow-up release to Fynrien’s Dream, the debut album by Muses9. Having long admired the mythic naturalistic paintings of Jonathon Earl Bowser, I immediately recognized the cover artwork which further peaked my interest as to what the music herein might sound like. Although information about the artist is limited on their website, album credits include lyrics by Algernon Charles Swinnburne, music by Igor Pogosyan, music production with Bryon Shakespeare, and drums and percussion by Koorosh Daryaie. All nine compositions feature female vocals, which are presumably provided by the same vocalist throughout, albeit given additionally layered and harmonized effects in parts. Somewhat eclectic and avant-garde in nature, the musical style is rather difficult to describe, although perhaps it could be loosely described as synth-pop with overtones of dance/electronica and ethereal/darkwave. The album opens with “Angel”, which is probably my favorite track in the line-up. Introduced by some gypsy guitar licks and bubbly synth pads, an electronic/techno rhythm soon kicks in accompanied by lyrical vocals that are seemingly placed in the background. There’s an intriguingly ‘underground’ atmosphere of burlesque or cabaret imbued in these compositions, of which it’s easy to imagine that of being in some cozy, dimly-lit, hole-in-the-wall bar or lounge on some Broadway strip. The rest of the album mostly adheres to a similar feel and style while often employing subtle tribal percussion throughout, peaking once again about midway through with the bouncy, playful and somewhat risqué-seeming, “Cat and Mouse”. I especially like the opening renaissance flair that revisits the song along the way; it fittingly compliments the witchy tone of the vocals, as the lyrically sung incantations are given an echoing left-right speaker effect. “Prelude” is another highlight and mostly instrumental, save for the breezy vocal-and-piano bridge that comes in around the halfway mark. A lighter, softer piece compared to most of the album, hovering strings, strumming guitar and processed bell-tones all collectively create a hazy semblance of enchantment. 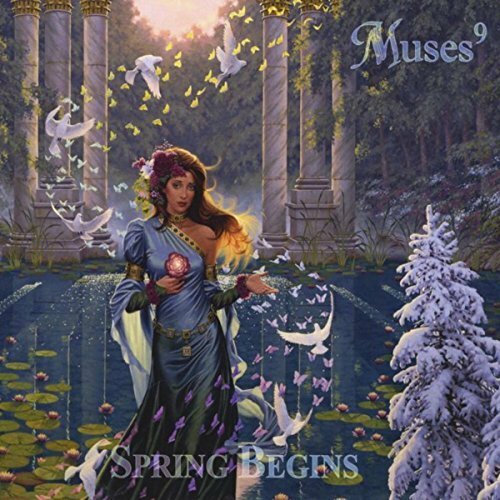 The closing title piece, “Spring Begins”, is mostly acapella, with the vocalist uttering ghostly intonations that effectively convey a somewhat “dark fey” vibe. This review was originally published on Journeyscapes Radio on 12/07/17.